The subtle tropical essence of this expertly-crafted bar will tease your taste buds and awaken your senses. 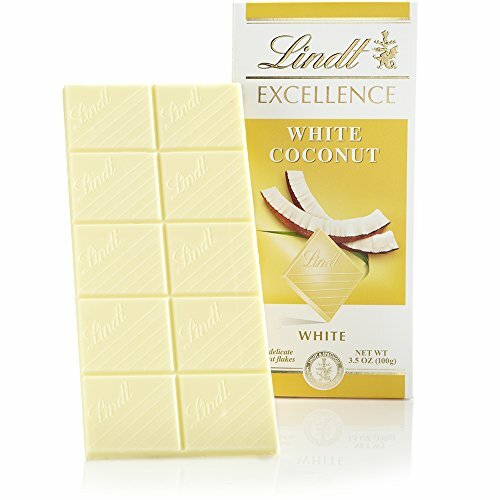 An exciting, exotic flavor combination achieved by enrobing flakes of fine white coconut in smooth-melting, premium white chocolate. Pairing Suggestion: This bar pairs well with sparkling wine because it lacks acidity. Try a pink demi-sec. Lindt EXCELLENCE: Prepared especially for you by the Lindt Master Chocolatiers who, from selecting the highest quality cocoa beans to creating the finest textures and tastes chocolate can offer, demand nothing less than Perfection. Lindt chocolate embodies the passion and expert craftsmanship of its Lindt Master Swiss Chocolatiers. Lindt delivers a unique chocolate experience offering a distinctly smooth and rich, gourmet taste. Don't be such a square...or do? Now & Later prove that you can be a regular quadrilateral and still be the life of the party! 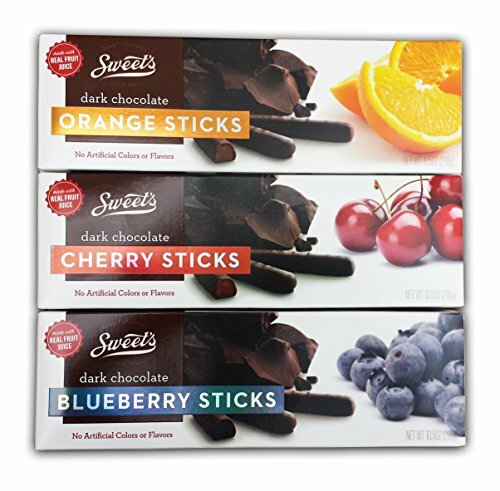 With a candy that starts out firm and fruity and slowly morphs into a soft and chewy treat, Now & Later squares heartily bridge the gap between hard and soft candy! Since its creation in 1962, Now & Later has developed several unique flavors. Some of the most unique were: Rainbow, Thriller, and Blue Jeans. 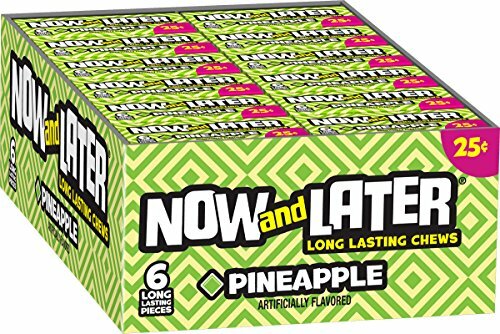 Currently, Now & Later comes in 12 flavors! About This BlackTie Box: Introducing the BlackTie Box by Black Tie Mercantile, the first and only gift-ready packaging system designed for the unique challenges of E-Commerce. Whether you choose to ship directly to a recipient or to yourself, your item is guaranteed to arrive exactly as described and photographed. Fresh roasted cashews in rich dark chocolate with a hint of sea salt. Marich Confectionery was founded in 1983 by Marinus van Dam, creator of the Jelly Belly. At age 15, with his father in a concentration camp for Dutch resistance during World War II, Marinus started to work as a janitor in a candy factory in Rotterdam to help support his family. 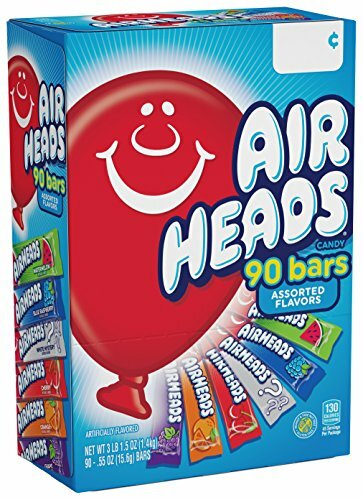 Management took note of his interest, abilities and skills, and sent him to a Dutch candy technology school where he proceeded to graduate with several degrees. He immigrated to the United States in 1957. 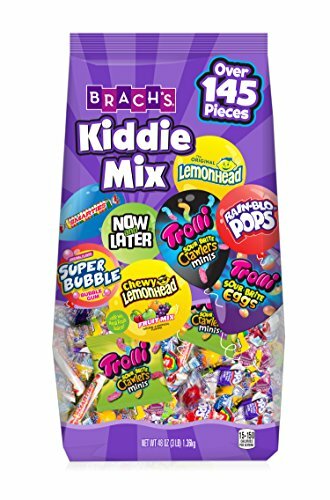 Once in the United States, he spent most of his early career working for Herman Goelitz, Inc., where he invented a number of signature candies, including the Jelly Belly. 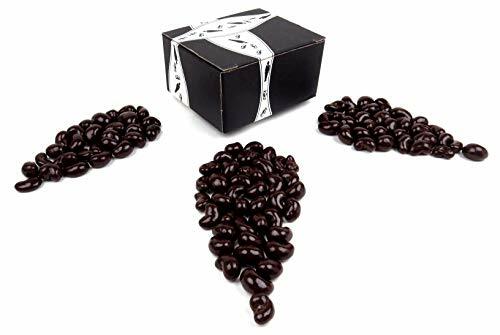 Now get a BlackTie Box for any occasion featuring one 1 lb bag of Marich Dark Chocolate Sea Salt Cashews. It's Easter! 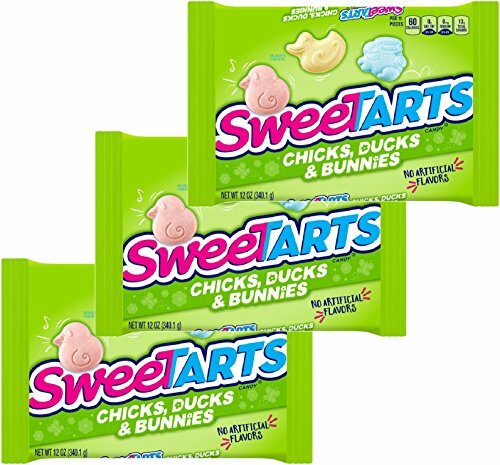 Enjoy mouth watering Sweetarts Easter Chicks, Ducks and Bunnies with family and friends. Easter Shaped and just plain fun! Delicious and just in time for March and April festivities! Make sure you stock up early for the Easter Bunny! 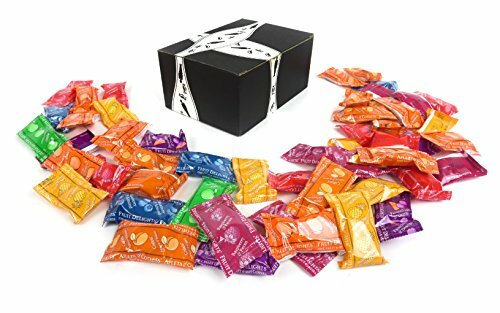 Want more Chocolate Usa Fruit Basket similar ideas? Try to explore these searches: Elegant Lovely Girl, 1993 Acura Legend Control, and White Gold Princess Diamond Solitaire.